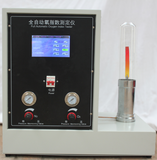 Oxidation induction time testing machine is a professional equipment to determine the induction time of material oxidation under the program controlled temperature. It is a professional instrument to determine the induction period of pipe oxidation. It can automatically record the heating patterns and reference materials at a constant rate in nitrogen atmosphere. When the specified temperature is reached, the atmosphere is switched to the same flow rate of oxygen. After that, the sample was kept constant at this temperature until the oxidation curve appeared on the thermal curve. The time from the beginning of oxygen flow to the time interval of oxidation reaction is both the induction period of oxidation. 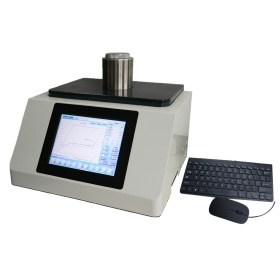 The instrument can automatically record the temperature and time curves during the induction period of oxidation, and can also measure the temperature difference and temperature relationship between the material and the reference. Automatically record the relationship between the temperature (delta T) between the sample and the reference material with the change of temperature or time. It can also detect phase transition, melting, crystal structure transition, boiling, sublimation, evaporation, dehydrogenation, fracture or decomposition, oxidation or reduction, lattice structure destruction and other chemical reactions. 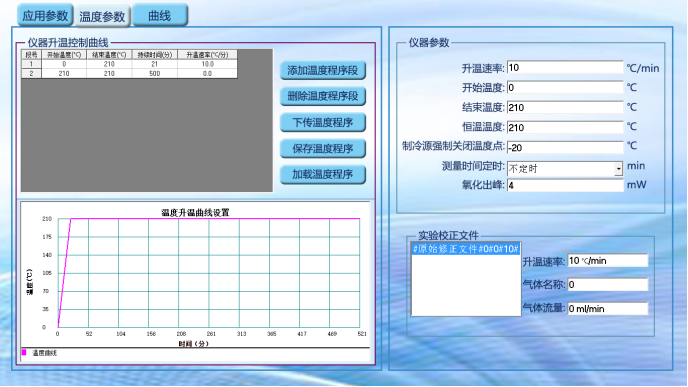 1: oxidation induction period special tester, customer one button operation, software fully automatic operation. 2: new sensor sample bracket, totally enclosed structure design, to prevent items falling into the furnace body. 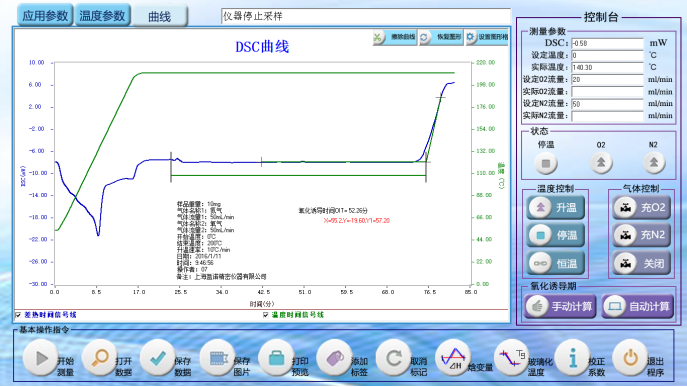 3: The instrument conforms to GB / T 19466.3-2009/ISO 11357-3:2013 Part 6 Oxidation induction time (isothermal OIT) and oxidation induction temperature (dynamic OIT) determination. 4: Built-in 10 inch super industrial grade computer, no need to use another computer, integrated equipment, rich display information, including setting temperature, sample temperature, oxygen flow, nitrogen flow, differential thermal signal, various switching state, flow to zero. 5: The instrument is equipped with four-way USB interface on the right side, which is convenient for users to connect mouse, keyboard, printer, U disk and other external devices. 6: The USB communication interface inside the instrument is more stable and versatile than the original instrument. The communication is reliable and uninterrupted, and it supports the function of self-recovery connection. 7: digital gas mass flowmeter automatically switches two flow of atmosphere, fast switching speed and short settling time. 8: standard samples are fitted to facilitate customer calibration of constant temperature coefficient. 9: Pre-installed software, no computer adaptability problems, to reduce the replacement of the computer, installation of driver errors caused by connection problems. 10: support the user self programming procedure, and realize the full automation of measurement steps. 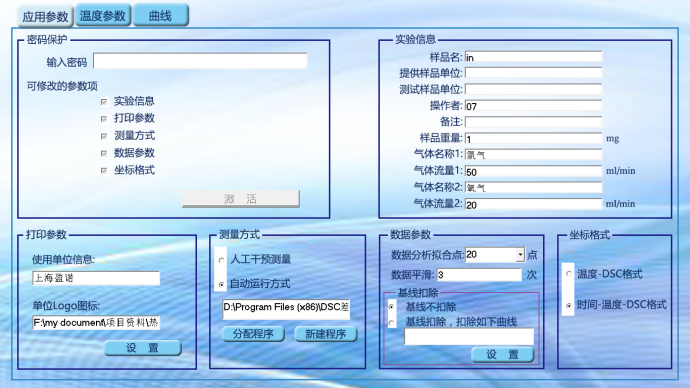 The software provides dozens of instructions, which can be flexibly combined and saved by users according to their own measurement steps. The complex operation is simplified to one key operation. Oxidation Induction Time (OIT) is a method to determine the time of auto-catalytic oxidation of samples under high temperature (200 degrees Celsius) oxygen. It is an index to evaluate the thermal degradation resistance of materials in molding, storage, welding and use. 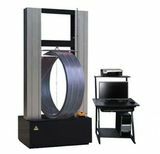 The oxidation induction period (OIT) method is a differential thermal analysis (DTA) method based on the exothermic response of plastic molecular chain breakage, to test the accelerated aging degree of plastics in high temperature oxygen. The principle is: plastics and inert reference materials (such as alumina) placed in the differential thermal analyzer, so that at a certain temperature with oxygen quickly displace the indoor sample of inert gases (such as nitrogen). The DTA curves (DTA curves) caused by the oxidation of the samples were measured and the oxidation induction period (time) OIT (min) was obtained to evaluate the thermal aging properties of the plastics. 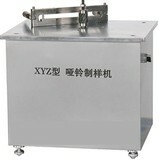 The instrument conforms to the sixth part of G B /T 19466.3 /ISO 11357-3 oxidation induction period. Oxidation induction time (isothermal OIT) and oxidation induction temperature (dynamic OIT) were measured. Oxidation induction period has been included in the pipeline industry and the strong inspection scope of wire and cable. 1: temperature range: ~500 C at room temperature. 4: temperature control mode: heating, constant temperature (automatic program control). 14: parameter standard: with standard substance (indium, tin, zinc), users can automatically correct temperature and enthalpy. 15: data interface: Standard USB interface (built-in interface, no external connection). 16: display mode: 10 inch industrial computer touch display, external mouse, keyboard, U disk, printer.